Succeeding in rodeos as a professional bull rider is a challenging endeavor. Level up to running the rodeo and it becomes another challenge altogether. Make it a traveling rodeo and success is only possible with an especially capable, hardworking team, one that consistently fires on all cylinders. Enter Levi McCray and his stable of Heavy Duty Ram trucks. 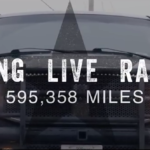 McCray highlights just how important Ram trucks are to his entire operation. “If we didn’t have a set of dependable trucks,” he says in the video below, “there’d be no way we could get down the road.” In other words, no trucks no rodeo. And, when you consider what McCray’s rodeo means to the small towns he visits, what a shame that would be. Please enjoy the video and then be sure to visit your local BusinessLink dealership, where a team of qualified vehicle experts is ready, willing and able to answer all your Heavy Duty questions. It’s not their first rodeo, after all.